Machiya are wooden townhouses, with different variations built throughout Japan. Ma means ‘space’ or ‘between’, chi means ‘road’ and ya means ‘shop’. So in other words: a space along the road with a shop. 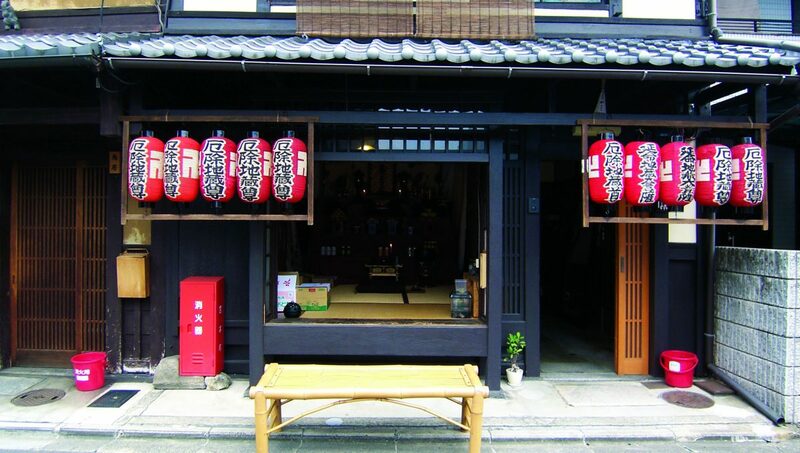 A machiya is usually a dwelling with a shop situated towards the street. The machiya first appeared in the 11th and 12th centuries when merchants in Kyoto, the former capital of Japan, used tables to display their products in front of their house. Eventually the shop was built into the living space with patio gardens bringing light and nature into the relatively small and long house. 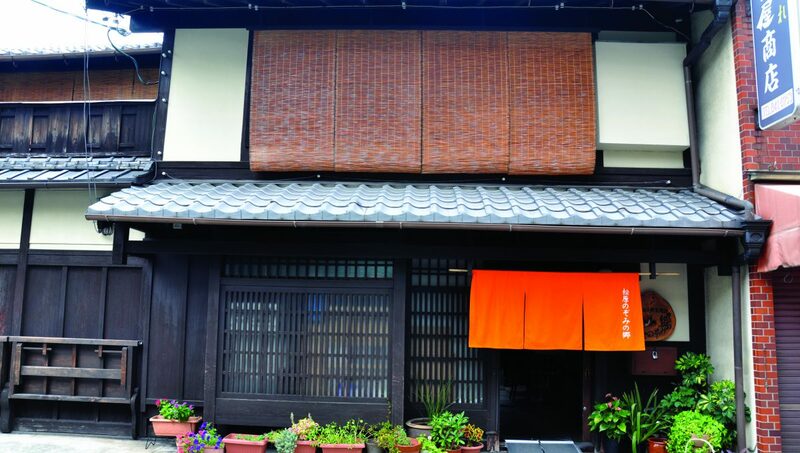 Although some machiya houses are protected as Japanese heritage, many are disappearing. The very sophisticated plinth of the machiya functions as a smooth intermediate zone between the outside and the inside, offering a system of flexible elements that allow the plinth to change openness and function. Living in a machiya means living in a dwelling condition of ambiguity: you are inside and outside at the same time. The plinth of the machiya easily adapts to the use of the shop. The outer walls consist of a wooden lattice, called koshi, that can be removed to open the whole front of the shop, resulting in a flowing space, one that is both inside and outside. A bench in front of this removable lattice can be used to display products, like in old times, or as a place for passers-by to rest. The space of extension is limited by a clearly-marked stoop, and lifted up by one small step and a clear change of pavement material. 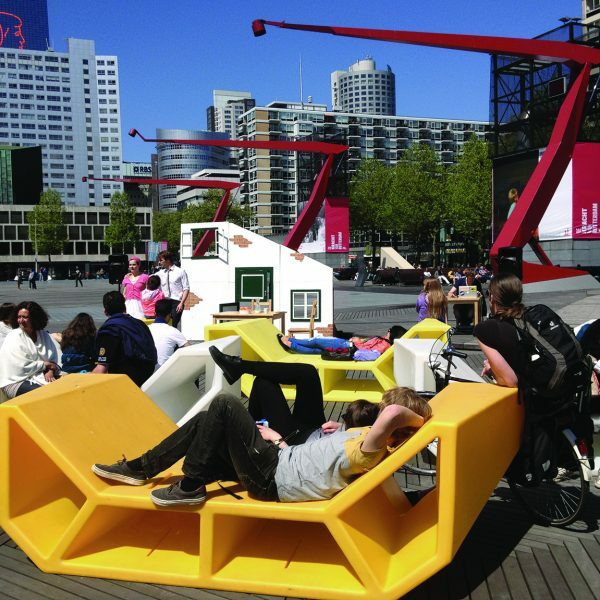 It is protected by a small roof providing shade and offering the feeling of being inside. Since the lattice is relatively transparent, a second layer, the shoji can be closed inside when the shop is closed to create a private room. Shoji, sliding doors made of wood and rice paper are also easily removed like the koshi. The machiya even uses different shoji, fragile bamboo for the warm summers and one thick rice paper for the cold winters. At one side of the plinth is a small entrance for the dwelling part behind the shop, often covered by a noren like a veil. In summer the entrance is open and the noren is the only protection between outside and inside of this entrance. 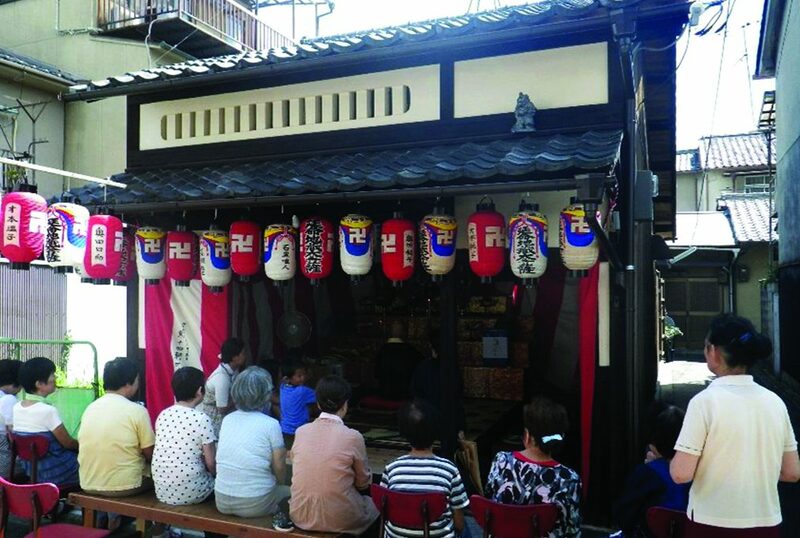 The Hamaya Machiya shows a transformation of the shop into a teahouse were tea-ceremonies are hold and as well into a temple for the neighbourhood. The small Saimoto Machiya in Kyoto is a house that is too small for a separate shop, therefore a combined working- and living space is situated towards the plinth. 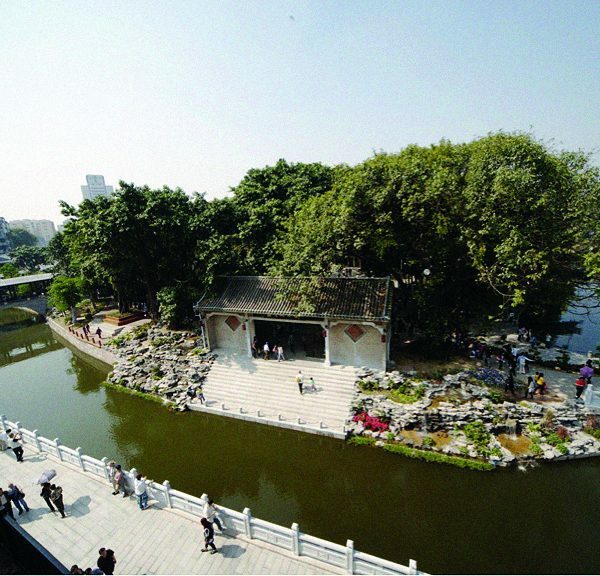 On ceremonial days the façade of the plinth will be removed and a neighbourhood temple or a place for children to play can be created, outside and inside becomes one space. Today machiya are part of the old city centres and streetscapes are filled with them, creating a beautiful and lively urban area, with modern high-rise towering next to them. The plinth and its shop are timeless and show a colourful variation of details in the perfect woodwork, a dwindling artisan skill. Today we find shops, restaurants, cafés, galleries and small workshops in the plinths of the machiya. Entire neighbourhoods of machiya called roji still exist and are used for living combined with small galleries at the front. What lessons can we take away from the historic machiya? The most important element for the richness of the machiya plinth is its flexible façade; opening and removing the façade needs to be done easily. Plinths today could offer the same flexibility, allowing for an incredible amount of possibilities and freedom for the user. Similarly, the use of the machiya is just as flexible—a shop, a space for neighbours, and a living room. Finally, the openness of the machiya blurs the lines between the inside and outside, creating a wholesome sense of responsibility and community. When borders get soft, people take care of their environment and stay connected.